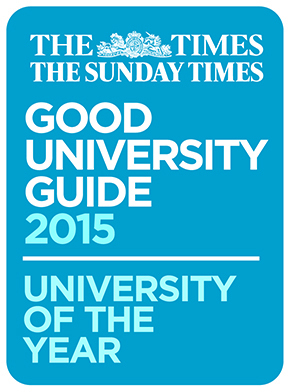 The University of Warwick has been declared University of the Year by the Times and Sunday Times newspapers. Warwick also rises two places to eighth in the UK in the two newspapers’ overall University league table, which will be published this Sunday 21st September 2014. Warwick also tops five of the subject tables in this year's Times and Sunday Times newspapers including those that equate to: Economics, Accounting and Finance (WBS), Film Studies , Creative Writing (English), and Theatre Studies.